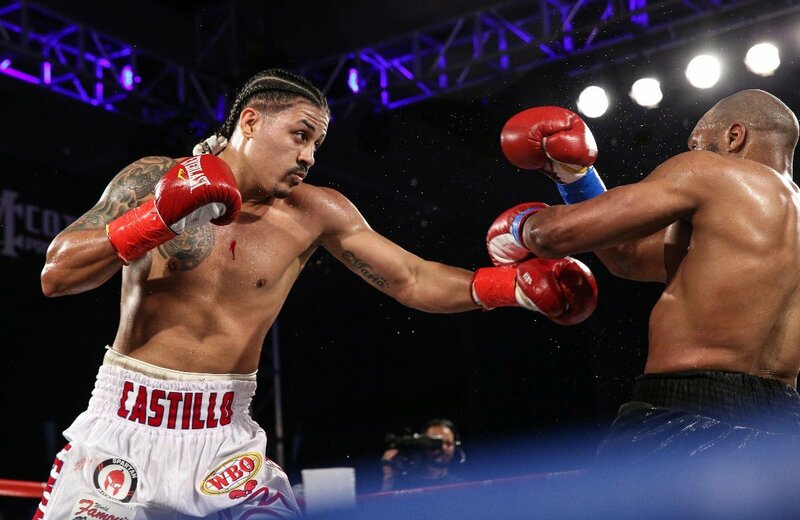 After winning the WBO NABO Light Heavyweight title in the month of April, former Olympian Lenin Castillo, from the Dominican Republic, will travel to New York, for the fight that will place him at the door of a world title fight. This Saturday, August 4, WBO ranked 14th Castillo (18-1-1, 13 KOs) will battle 2nd ranked Marcus Browne (21-0, 16 KOs), from New York, in a 10-round scheduled bout from NYCB LIVE, home of the Nassau Veterans Memorial Coliseum. Castillo-Browne is a special edition bout of PBC that will air live on FS2 & FOX Deportes at 5:30 p.m. ET/2:30 p.m. PT. “I’ve been following Browne’s career for some time. Facing him was something I was waiting for, and now it’s better because he is number two in the WBO. We were both Olympians, so I know that we will give a great fight to keep the fans talking about our division”, said Castillo, who is stationed in Puerto Rico, under the supervision of veteran trainer Freddy Trinidad, and Yoel ‘Yowy’ González at the Caimito Municipal Gym, located in the capital city of San Juan. “I feel satisfied with the training in Caimito, I’ve learned from the knowledge of Trinidad and Yowy. On the track, the person in charge is Mr. Bonet, who has worked with great boxers. I hope that all my work will pay off in the fight, and that my performance is to everyone’s liking. This victory is for the Dominican Republic, where we continue to grow in the boxing world”. Castillo’s manager, Raul Pastrana of Spartan Boxing Club, said: “This fight will define Lenin’s course in the grand stages of boxing. A world title fight is upcoming with a great performance against Browne. We understand that Browne has not faced a quality fighter such as Lenin. Lenin will show that he has the tools and the desire to reach the top. In addition, he is willing to face any opponent, at any place”.